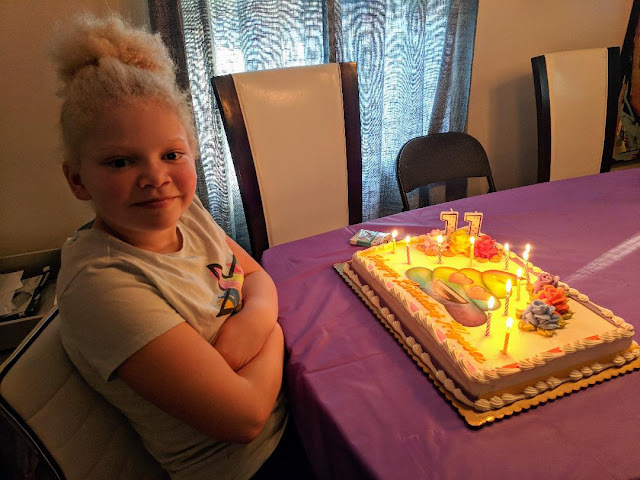 I am going to try and knock out a couple of posts in the next couple of days so I can finally get caught up on my 52 Ancestors posts. Something had to give this summer and for me that was slowing down on how often I blogged. I wanted to refocus my energies on getting healthier and starting an exercise regimen again. Woohoo! I've been successful. I've gone back to the sport I had a blast with while I attended college and that is fencing. 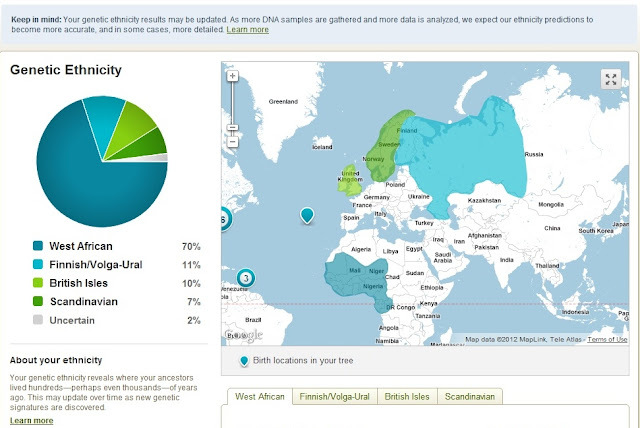 Okay, back to genealogy. 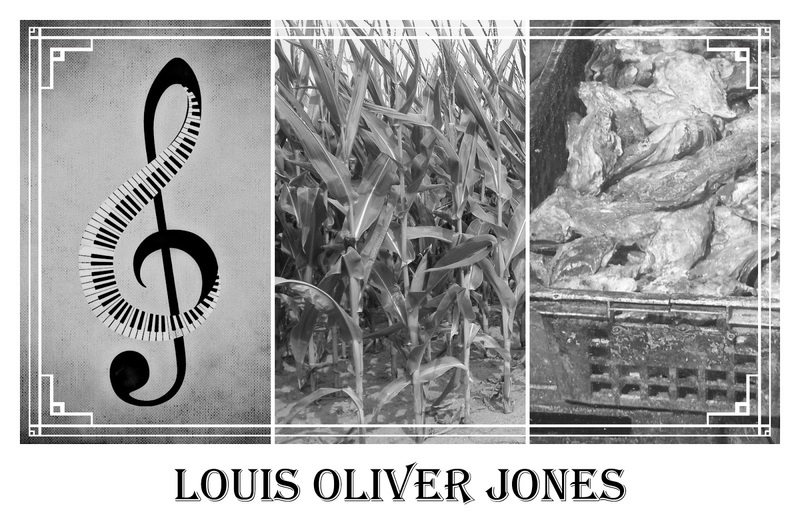 Ancestor #34 is Louis Oliver Jones who was a maternal 2nd great grand uncle of mine. He was born on January 14, 1838 in Swansboro, Onslow County, NC. I believe he was the oldest of my 3rd great grandparents, Cesar and Mary Jones's children. The Joneses settled in Morehead City either at the end or just after the close of the Civil War. 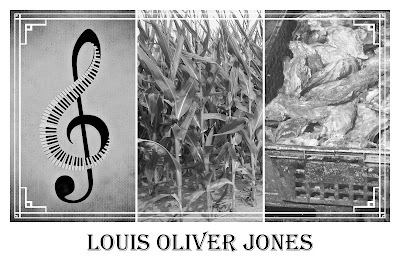 Louis Oliver may have been one of the first of the family to relocate to Morehead because he's the only Jones I could locate on the 1870 Federal census. In 1870, my 2nd great grand uncle worked as a musician in a hotel. I wonder what instrument he played. The piano was the instrument of choice for many of my Jones and Bryant ancestors. It would be interesting to know if this was the instrument he chose to play. On November 3, 1867 Oliver married Esther Lincoln in Carteret County, NC. You can see a copy of the handwritten marriage record that was made by Methodist minister William J. Moore on my post, Oliver Jones And Esther Lincoln Were Married By William J. Moore. 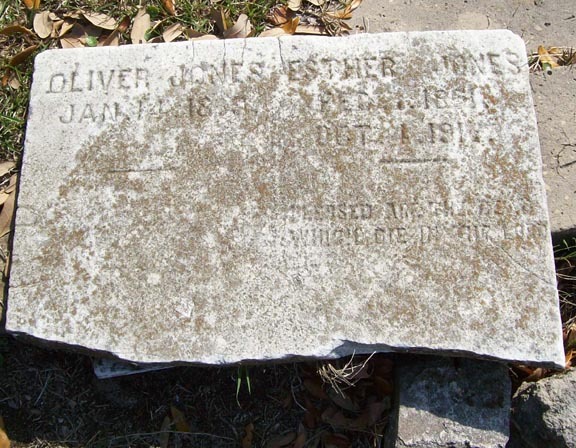 By 1880, Oliver and Esther Jones were living near his parents, brothers and sisters. His occupation changed from the 1870 census from musician to farming. Being closer to family made it probably easier for everyone. They could pool resources together so no one would do without. Oliver Jones changed occupations between 1880 and 1900. 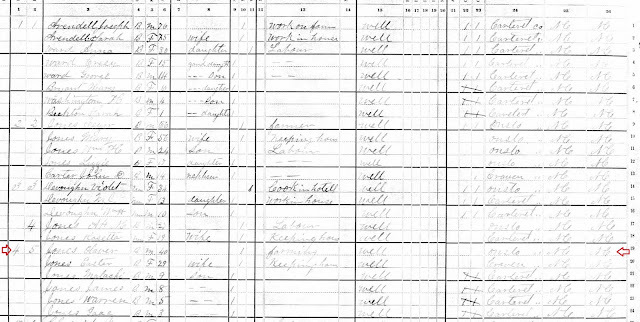 On the 1900 Federal census his line of work was listed as an "oysterman." Oliver and my 2nd great grandfather, Alexander Jones, owned their own homes and provided well for their families. Oliver and Esther Jones had 8 children: Malachi, James, Warren, Isaac, George, William Oliver, Benjamin, and Violet. 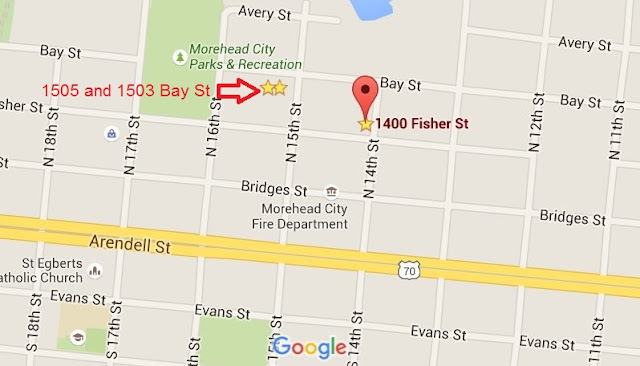 The family lived on Bay St in Morehead City, NC not very far from where my 2nd great grandparents lived on what is now known as 1400 Fisher St.
children of Louis Oliver Jones, resided at. I bet that's the family homeplace land. I should write a letter to the Carteret County Register of Deeds to see if I can obtain a copy of the deed so I know a more precise location. Another thing to put on my to do list. 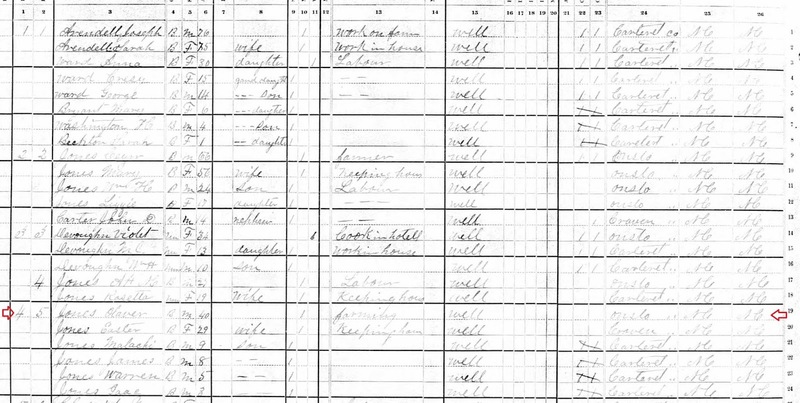 My 2nd great grand uncle returned to farming by 1910 based on information found on the census for that year. 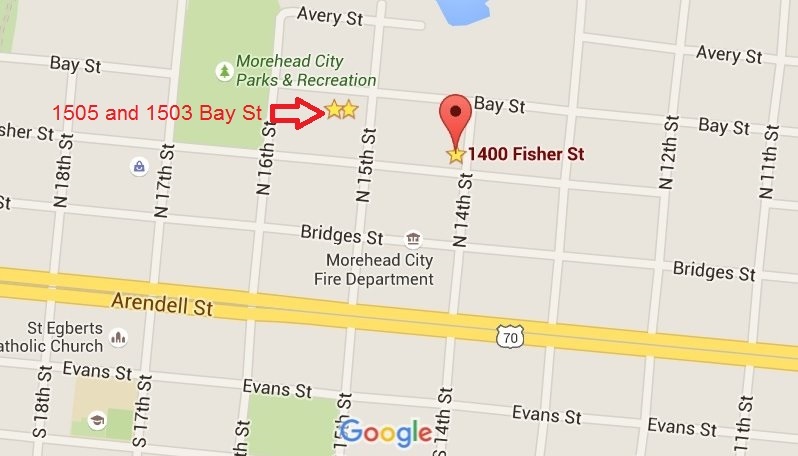 Oliver and Esther Jones were lifelong residents of Morehead City. Esther passed away in 1917. Oliver lived on for another 8 years, tending his garden. 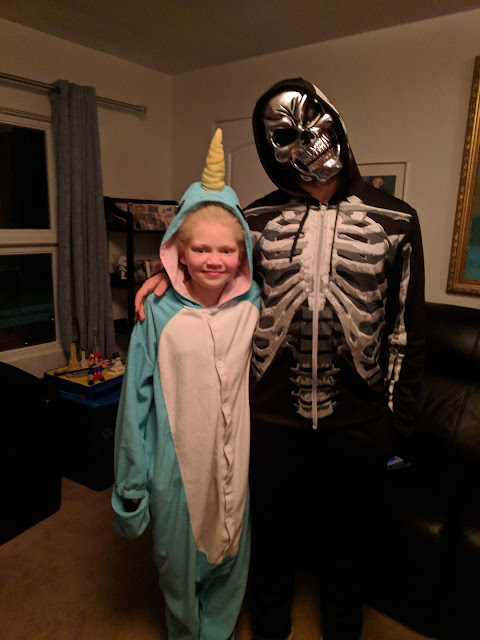 He shared his home with a son, daughter and two grandchildren.